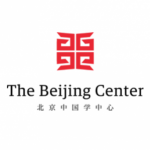 Whether it is your first time in China or if you have visited several times before, The Beijing Center is the best place to discover, engage, and dialogue with China. The Beijing Center for Chinese Studies (TBC) provides a unique environment for students from all over the world to begin their engagement with China. Our mission is to promote mutual understanding between China and other cultures. What makes us unique is our placement in a long and storied tradition of Jesuit education, one that teaches us that true cultural engagement starts first with friendship. Matteo Ricci, S.J. (利玛窦) came to Beijing in 1601. Like TBC students today, he and his companions studied the Chinese language and culture and used that knowledge to engage in the academic life of the day. Like our students today, these people were great adventurers and showed great courage, humility, and respect for what they found here. Ricci found a particularly close friendship with Xu Guanqi (徐光启), who taught him the Chinese way of life. In turn, Ricci shared his knowledge of the West. We seek to follow in these footsteps as we provide students with the supportive environment to start their own adventures in China. We achieve our mission by offering an outstanding immersive semester abroad program, short-term programs tailored for your group’s best initial engagement with China, and a research library with over 25,000 volumes in English used by scholars not only in China, but from around the world. We achieve our mission with TBC’s professional and dedicated staff. So whether you are a newcomer or an old China hand, the experiences TBC provides will change and challenge the way you think about China and in turn, change your life.